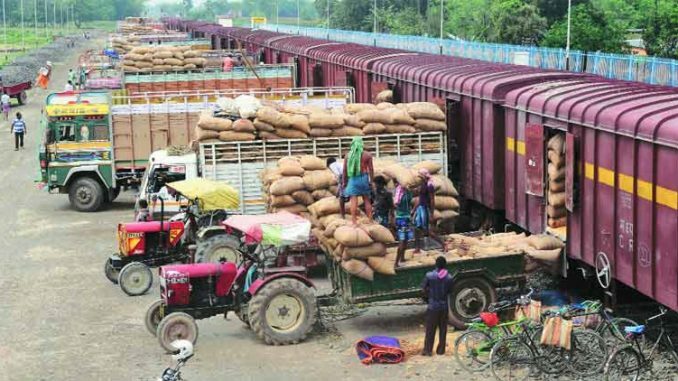 New Delhi: The government plans to come out with a policy to boost the exports of agricultural produce so that farmers get the best price and double their income by 2022. “If they (farmers) produce something, they (should) get an access to global market and get better prices for that, and for that we will put in place a good policy framework very soon,” commerce minister Suresh Prabhu said at the 10th Agriculture Leadership Summit 2017. “We have the right to have access to global markets for our farm produce by removing all trade restrictive practices,” the minister added. According to experts, the country’s agricultural sector has potential to double farm income and grow exports to $100 billion by 2022 from the present $34 billion. Agricultural exports have declined to $33.87 billion in 2016-17 from $43.23 billion in 2013-14 because of low commodity prices in the international market, making local products uncompetitive in the export market. The BJP government at the Centre has set a target to double farmers’ income by 2022. To meet the target, it plans to encourage crop diversification, focus on allied sectors and food processing and tap global markets. In 2016-17, exports of farm products, such as cereals, processed fruit and vegetables, processed foods, and animal products, were around $16.27 billion, according to data released by the Agricultural & Processed Food Products Export Development Authority. Prabhu said his ministry would work on developing global supply chains for the sector. The commerce ministry, Prabhu said, will make sure that “we will achieve this goal to ensure that India’s agri sector will also be able to feed hundreds of others”. As a commerce minister, he said “my job is to ensure that we will develop this global supply chain and ensure farmers get better prices”. The ministry also plans to develop agriculture parks in the country. “If there are clusters for industry, why should we not think about clusters for different kinds of agriculture,” he said. Talking about the World Trade Organisation (WTO), Prabhu said the ministerial conference is in Argentina in December. “Our agenda is going to be very aggressive. This is a development round… We will like to make sure that Indian farmers get their due by getting better price from global markets. This is very important and this is going to be part of the strategy to increase farmers income in India,” the minister said. Talking about challenges facing the farm sector, he said natural resources (land and water) are limited but the population is growing and “we have a challenge to keep feeding”. “A new challenge is climate change. It will have a huge negative impact on agriculture … how to keep feeding more people,” he said, adding the changing food habits are also going to be a big challenge and to address these “we have to have technologies and you need to think differently”.